The New Zealand government is ready to tap the cloud for the business agility, speed to market and innovation that as-a-Service promises. Our end-to-end cloud services, New Zealand government insights and willingness to partner and build relationships can help you accelerate cloud adoption. Whether it’s a public, private or a hybrid cloud solution, Accenture is product and platform agnostic, focusing on the best solution for you. We can adapt and tailor our services to meet your individual size, demands and fluctuating capacity requirements. Learn how Accenture can help New Zealand Government accelerate their cloud adoption. We take you through a customised journey to achieve the capabilities and value you need. Our automated toolsets, extensive ecosystem and migration factories make complex processes fast, easy and secure. We adapt and tailor our services to meet your individual size, demands and fluctuating usage requirements. Your resources become liquid—available as needed and paid as consumed, ensuring fit for purpose solutions. Our expertise will deliver the services you need faster. With efficient, agile and scalable cloud capabilities in place you can focus on developing better citizen services and experiences. Ahmed is a Managing Director for Accenture. 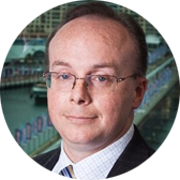 He is responsible for Accenture Operations for Government & Health in Australia and New Zealand. 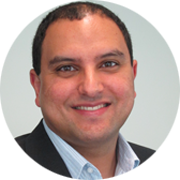 Ahmed is working with federal, state and local public service organisations to establish a clear cloud roadmap and assisting them with migrating their application workloads to the cloud; this allows each agency to focus on its core mission of delivering services for Australians and New Zealanders. A 20-year career in the infrastructure industry working with public service organisations across Federal & State governments has given Ahmed the opportunity to help government agencies achieve successful outcomes for their visions. Ahmed spent the last 14 years directly working with large scale, complex federal government projects. 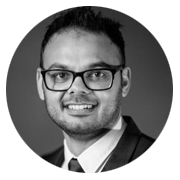 Ahmed’s latest passion is assisting Government & Health organisations with their cloud strategy, implementation, migration and operations. Ahmed lives in Canberra, and in his spare time, he is keen to spend time with his two young kids. Suraj is an Accenture Senior Manager who has extensive experience working with C-Suite professionals to help transform and improve their IT landscape. He focuses on New Zealand Government & Health clients and is based in Wellington. With continuing cost pressures coupled with technology debt and a requirement to improve service delivery using disruptive technologies like Cloud, organisations need to re-consider how to instantiate a technology stack that breaks the traditional models. Suraj works with New Zealand organisations to develop Cloud driven IT and architectural strategies as well as deliver technology integration projects to help New Zealand organisations maximise the benefits of adopting Cloud. Suraj has over 16 years of technology experience across multiple industries. He also brings his experience of having worked in multiple geographies before settling down in Wellington. In his spare time, Suraj enjoys being active by running and cycling as well as the occasional squash game. Kate is a Managing Director at Accenture and is part of the Health & Public Service cloud practice in Australia. She has been with Accenture for over 15 years in various roles, including platform architecture, technical design, infrastructure delivery, program leadership, and cloud management. Kate has over 15 years experience working with large scale infrastructure projects in the government sector in Australia and Singapore, with significant time in Health, Taxation and Defence departments. This experience has included leadership roles in major transformation programs for public services, to savings driven strategic initiatives to reduce operational costs. 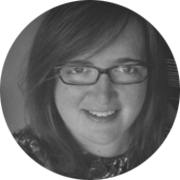 Outside of her daily project responsibilities, Kate remains very interested and active in developments in the Cloud and Virtualisation sectors. Kate is a Canberra native, and in her spare time is passionate about outdoor activities in the region. David is a Consulting Manager with Accenture. He is a solution architect specializing in design of cloud-enabled solutions for Government, working with public sector organisations throughout Australia and New Zealand to achieve beyond what is traditionally possible through the leveraging cloud technologies and services. A significant proportion of his day is spent working with agencies to define the next steps in their cloud journeys, particularly in the migration of application workloads to the cloud to improve the services and outcomes delivered to Australians and New Zealanders. Before joining Accenture David spent over 20 years in solution architecture, sales and management positions focused on the design and delivery of solutions dedicated to realising greater levels of efficiency and effectiveness within the public sector in Australia. David lives in Canberra with his partner and 13 year-old son, who miraculously still loves to hang out with his dad. Lynda is the Cloud Technical Architect Manager and the AWS Solutions Lead in New Zealand with a focus to help government agencies move to AWS. 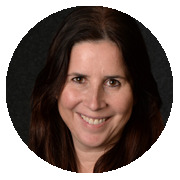 From an Operational background, Lynda has experience in the design and development in AWS Cloud Solutions and delivery of both Cloud and Hybrid environments to organisations looking to leverage cloud technologies and utilise a DevOps approach. With over 20 years of experience in IT, Lynda has scoped and delivered projects within time, scale and budget and run both Infrastructure and DevOps teams across multiple industries. Lynda works to architect Cloud solutions based on client needs and build the right team to ensure this is delivered to scope and timelines. Lynda lives in Wellington and out of work enjoys cycling, gardening and anything outdoors. 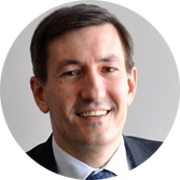 Andre Conti is the Journey to Cloud Lead within Accenture Operations, leading this key area for Australia and New Zealand. Andre's practical views on IT infrastructure and Cloud technologies have been developed from years of delivering infrastructure transformation and next generation data centre projects, with an emphasis on consolidation and rationalisation programs, delivering significant top and bottom line business benefits. At an operational level he also has deep knowledge and experience in the design and development of IaaS and virtualisation solutions, program management of complex computing environments and the design, implementation and operations of all aspects of IT tools, processes and procedures. During his career Andre has worked extensively in delivering large IT Infrastructure programs within a number of industries including Health and Public Service, Financial Services, Transportation and more recently Telecommunications. Andre is based in Melbourne, Australia. Learn why the New Zealand Government could be a global leader in seamless citizen services. Gartner Positions Accenture as a Leader in Magic Quadrant Report for Public Cloud Infrastructure Managed Service Providers, Worldwide.